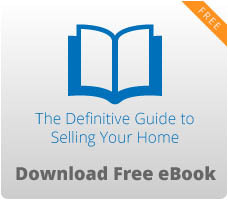 Most of the home sellers are new to the selling process and of course, it can be daunting. If you are trying to sell your home in Columbia, SC, then you should know that there is no guarantee a buyer will come to you and pay for your home. There are steps to take to make sure the property receives the attention it deserves. From readying your home to greeting potential buyers, everything should be carefully planned. What Happens After I List My House for Sale? When a house is on sale, it is expected that the entire property is clean, organized, and attractive. Hire an inspector to look into the house thoroughly. You may want to get an agent to help you with all the work. The agent will arrange an open house and show the potential buyers the highlights of the property. Typically, the season affects the outcome of the sale. If you want to sell your house quickly, then have it ready during spring as this is the time when the housing market is strong. Plus, interest rates are on an upward trend and there are many buyers searching for homes. You may want to avoid the winter season because most buyers focus on the holidays. However, this is the time when other sellers remove their homes from the market. If you want less competition, sell during winter. Unless you are knowledgeable about real estate, then hiring an agent is a must. Agents have a network of buyers and they can help you speed up the sale. Of course, there are issues with the commission fees, but you should know that the percentage is negotiable. In Columbia, SC, there are a number of real estate companies that you can contact. Make sure that you interview and assess the agent before hiring. Under normal circumstances, homes in Columbia, SC sell within three to six months. The condition of the market may extend or reduce the amount of time needed to complete the sale. Once again, the status of the market will help determine how much your home is worth. It is therefore important that you perform a research first before pricing your home. You can hire an appraiser, which can cost you around $300 depending on the type of your home. If you have hired an agent, ask about your home’s value. Agents use comparative market analysis where they provide a casual estimate of a property. They compare homes that are listed and sold in the area with the similar style and size as your home. What Factors Affect My Home’s Sale? Your home can sell in a month or even less depending on the market and the price. As a plus, if your home is well-organized and clean inside out, buyers will come your way. If repairs are needed, do so immediately. Sidewalks, lawns, and the garden should be free from debris to boost curb appeal. Windows, doors, and paint should look like new. Everything should work including the doorbell, the faucets, and lighting. You can hire an interior decorator to help you with home www. This is an important process during the sale as it is where the potential buyers get to see your home up close. Selling your home in Columbia, SC involves a ton of work, which is why experts like agents are there to help you. Research is required and a bit of basic knowledge about real estate can definitely help. When closing comes, you and the buyer will sign all the paperwork and finally, you turn over the keys to the new owner.